Joe Wright’s DARKEST HOUR will be one of the better films kids can watch in history class. It’s a perfect cross-section of straightforward, entertaining, and actively moving for its themes and execution. Anchored by a truly immersive performance by Gary Oldman, it manages to transcend the dull familiarity of truth-based period pieces, and become a rousing portrait for the fight for the truth. Documenting the relationship between politicians and citizens amidst times of crisis, DARKEST HOUR poses major relevance, with copious amounts of maudlin sentiment mostly earned through Spielbergian strain. While the on-screen vigor can play to varied responses depending on the viewer’s engagement with the film, the ideals at play are undeniably meaningful, and come to fruition worth agreeing with. It’s May 1940, and Neville Chamberlain has been voted out of the position of British Prime Minister. With Germany slowly taking over more and more of Western Europe, Great Britain is getting backed into a corner, as are its troops in France. Many politicians think they should settle for a peace agreement set up by Benito Mussolini and Adolf Hitler, just so England can end the panic and get back to living. The only man they’re able to replace Chamberlain with, though, is the controversial, eccentric Winston Churchill, who believes that this “peace” opportunity will relent too much power in the favor of fear-mongers and fascists. 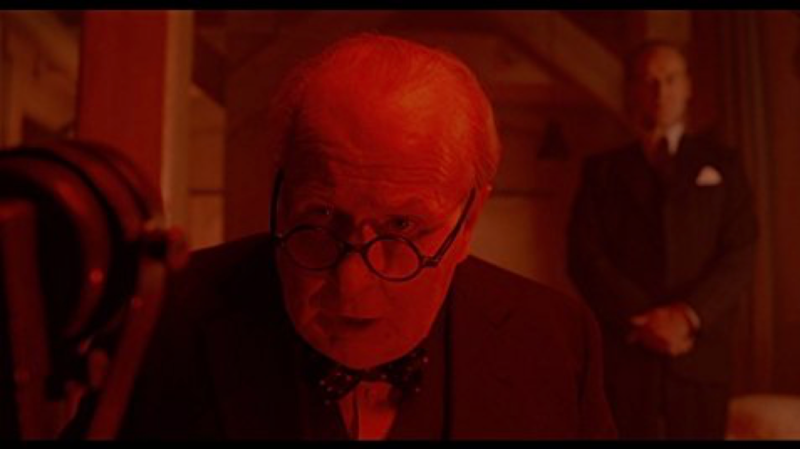 DARKEST HOUR follows Churchill’s efforts in determining the correct move as the clock ticks down on the fate of the world. Definitely don’t remember Churchill eating lit matches, but if it’s IN THE MOVIE . . .
For all of that tense set up, let it be clear that this is a film about people wandering around and yelling in office environments. DARKEST HOUR kicks the risk of being a boring journey out the window as soon as the film starts. This is Joe Wright and director of photography Bruno Delbonnel taking a minimalist (by his standards) approach to a maximalist configuration. They set up motifs dedicated to observing humanity from two different angles: bird’s eye, mimicking that of fighter jet paranoia, and tracking shots looking out a car window upon panoramas of people in motion on city streets. Meanwhile, interiors are shrouded in shadows, framed with nearly gothic anxiety, punctuated with Janusz Kaminski-esque pools of light. There are a lot of fun tricks on display here, and they all feel rooted in thematics and character. Wright often frames Churchill within increasingly claustrophobic windows, surrounded by black, to eerie effect. That’s perhaps the most outlandish the cinematics get, but even still, it’s expressive more than distracting, serving as a lovely reminder of how sneakily strong Joe Wright’s imagination can be. Winston Churchill: I don’t wanna talk about it! And call me Lady Bird! As a sort-of prequel to Christopher Nolan’s DUNKIRK, DARKEST HOUR shows the flip side to the aggressively and appropriately dour war film. Churchill’s tale starts with a worrying level of period stuffiness that comes off as light. The implications of Dunkirk’s horrors are represented by several blue pins on a map of France, with minimalist, existential dread. DARKEST HOUR is accurate and tasteful about this perspective; politicians, and even citizens, don’t truly know what their brethren soldiers are going through. Despite that, their fate is in the hands of people who deal with them as pins on a map, and the film does a good job of making this disconnect land. One sequence taking place smack-dab in the middle of the war amidst an otherwise low-key talkie is enough to make clear just how painful the fight is, and subsequently, how unfairly it’s being portrayed at home. This is a film about people being kept in the dark for the sake of their sanity, either through bold-faced lies or lies of omission, and the eventual importance of fighting for the truth at all costs, more than victory or anything else. 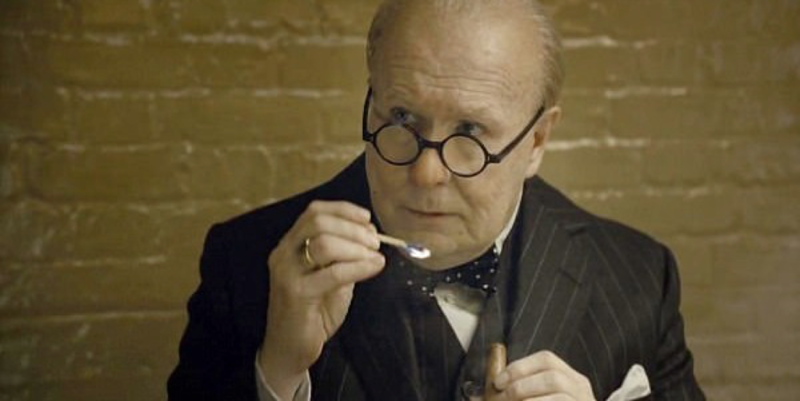 The key to these concepts really hitting home is the performance of Gary Oldman as Winston Churchill. The makeup and costume job on his Churchill is staggeringly rendered, to the point of complete disappearance into the role. 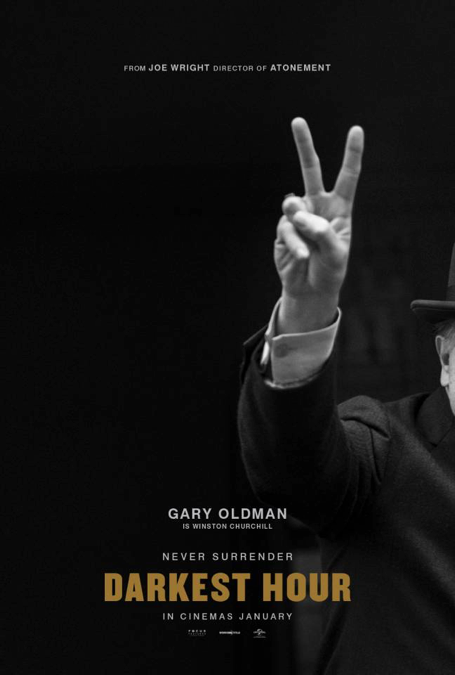 Oldman nails down mannerisms and the pure physicality of the man, making DARKEST HOUR even more successful as a character study. The way he yells at people in this film is electrifying, and maybe even a little too fun. But these all come together with the glue of his emotional journey, and that’s an emphasis on emotional. Churchill is known for being a guy wearing his heart on his sleeve, and director Joe Wright brings that to the forefront as the film goes along. 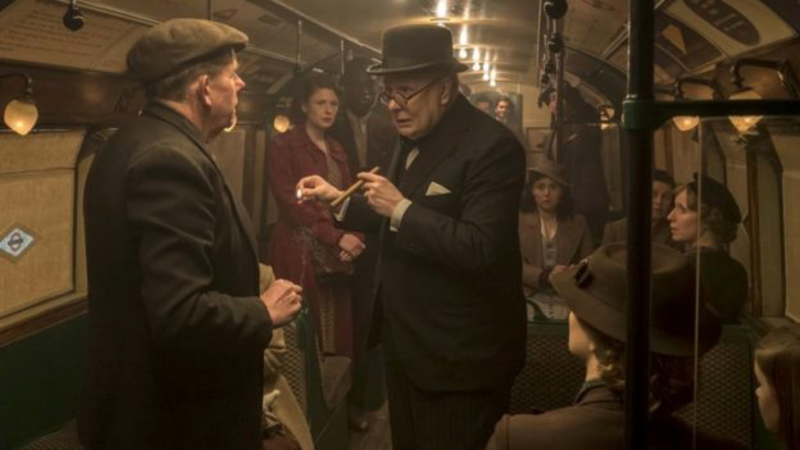 Oldman’s Churchill wanders into fits of mumbling, lost in trains of thought, and even into tearful moments of stasis as the situation worsens or he becomes more aware of the plight that the people he represents are going through. It’s a development of empathy that more people, fictional or not, could learn from. DARKEST HOUR bathes in a level of schmaltz that audiences often cite Spielberg for treading in, when he’s actually a little more sly. Wright, here, takes dead aim on the heart strings, with good reason, and with hands as heavy as concrete, which isn’t necessarily a bad thing. There’s aesthetic restraint, sure, but the script builds up to almost Cameron Crowe-esque moments of emotional outpour in arguments of desperation. Wright fills the cast with performers that know how to handle the gooeyness with patience and humanity, with a dash of wit to match Oldman’s. Kristen Scott Thomas, Lily James, and Ben Mendelsohn let things simmer and breathe, helping period dialogue blossom in delivery. One particular scene that felt polarizing from the get-go involves Churchill talking to British citizens on a subway car. The pace and premise feels like it could immediately be an act of parody, but the sincerity of performance is unrelenting, especially on Oldman’s behalf. Regardless of how you’ll take your prestige cinema cooked, the message rings true and gets DARKEST HOUR to the finish line on time. This is a lovely reminder that a juicy ol’ melodrama isn’t always something that needs to be run away from. DARKEST HOUR is the kind of movie to see with the family that should surprise those who anticipate being bored. Films like this work even harder when many people these days find themselves needing reassurance and a little hope. This year sees the release of THE POST, another film about people doing their job against all odds for the sake of what is right. 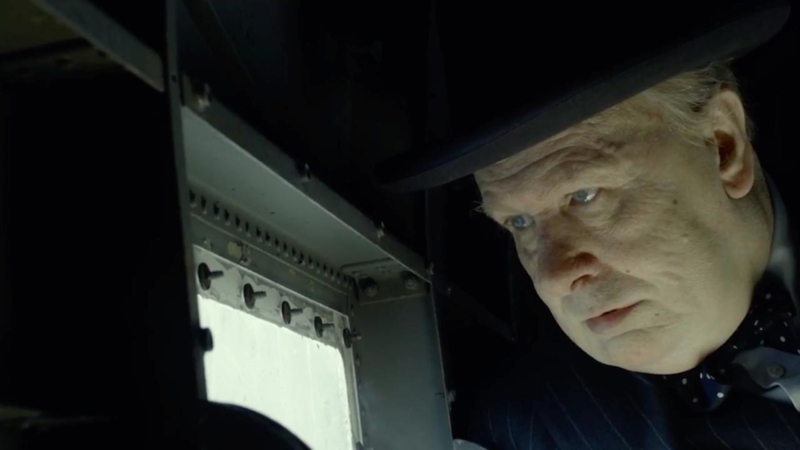 Emphasis on the need for deserving the truth at all costs is just the tip of the iceberg, and unfortunately, so necessary to be reminded of, and DARKEST HOUR does a noble duty whilst acknowledging its own privileged perspective. Its scope is grand and fed through intimate, exciting channels. 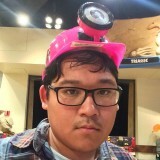 To entertain and teach without condescension feel like inherent duties of cinema. It’s nostalgic in its vernacular, but Joe Wright and crew manage to pass with flying colors.